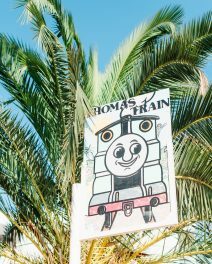 Ibiza’s history of ancient cultures, pirate rampages, hippy hedonism and raver madness has created a solid repertoire of crazy urban legends over the years. Here are the top 10 insane myths about Ibiza. On November 11, 1979 a pilot flying from Mallorca to Tenerife made an emergency landing in Valencia. He reported a strange light moving hostilely towards the aircraft, coming from the direction of Ibiza. Despite a thorough investigation the light was never identified so it must have been a UFO piloted by aggressive aliens, naturally. You’ll hear many people say Es Vedra is one of the most magnetic points in the world and that watches and compasses go haywire on approach. Locals love this myth and perpetuate it to no end, because take one look at the huge rock coming up from the sea and it just looks magnetic. It’s not though; no scientist has ever been able to prove it, and it’s made of pure limestone – no magnetic properties in sight. 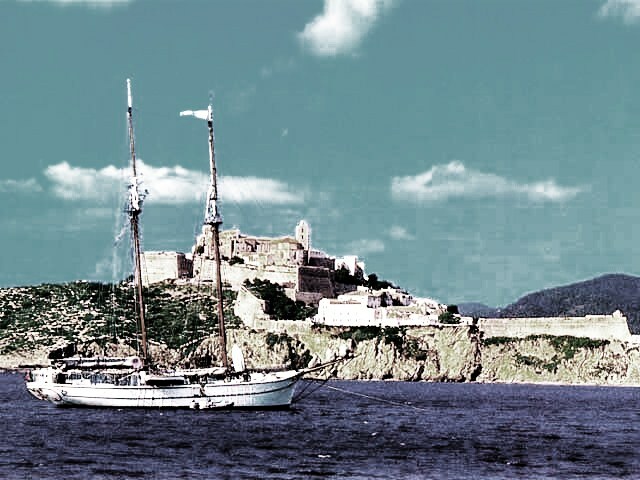 There were dozens of pirate rampages in Ibiza throughout the middle ages. The island got used to defending itself from the marauders and created a pretty clever system of watchtowers and church bells to sound the alarm. But as the pirates moved through the Med they would have surely had to deposit their loot somewhere. But where? Perhaps it’s still out there buried beneath a secluded cove… somewhere… out there! So, it seems this is actually rooted in truth. Francisco Palau y Quer was a Carmelite friar who was banished to Ibiza in the 1800s after getting into some hot water with his bosses. 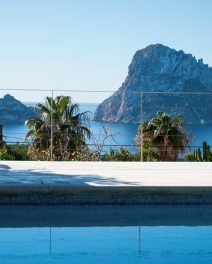 He moved onto Es Vedra and lived there as a hermit sporadically where he wrote his masterpiece and saw ecclesiastical visions – which some people attributed to his diet of lichen (algae) but the good friar saw it as (a) signs from God. He also established the hermitage at Es Cubells which is still in use. In Santa Eulalia under the old bridge and in the new fountain you’ll come across little brass statues of ugly goblins with mischievous grins. They’re called Barrugets and are responsible for all sorts of shenanigans. They can’t usually be seen by the human eye and like to hang out in the water cisterns, dry stone walls, under bridges and in little caves by the sea. When something goes missing or something illogical happens it’s always the fault of those pesky Barrugets. Es Vedra is home to a sub species of mountain goat. It’s hard to tell where the Space goat phenomena started. Perhaps it was the hermit who lived on the island in the 1800s or the supposed UFO sighting or something about the rock’s alleged magnetism but at some point some people started to think that the goats weren’t just ordinary goats but special, intergalactic, interplanetary Space Goats. How cute is that? She was the revered goddess of the Phoenicians, the top deity of Carthage and also worshiped by the Berbers. As the goddess of fertility her home base was said to be Es Vedra, which is why women seeking a baby are advised to hang out at the rock. You’ll see her image used on everything from beach club posters to Hierbas bottles. This Phoenician god has been around the traps; he’s an early relation of Dionysus and Bacchus – the gods of hedonism. It naturally makes sense that Bes should have a home in Ibiza considering his love of dancing and wine. This renowned rock has been so many things to so many people. Homer set his sirens here, it was a back drop to the kitschy late 50s film South Pacific, it’s had space goats and UFOs and a hallucinogenic hermit live on it. It makes sense then that it is also said to be the very tip of the lost city of Atlantis. But local boat captains won’t drive through or past the monolithic structure, so your chances of diving to find out the truth are slim to none. 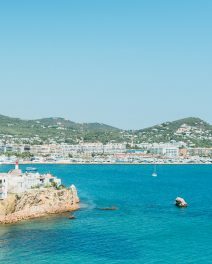 This is one of the most weird (and also kind of sad) urban legends about Ibiza. A group of lads came over for a holiday. One of them smuggled in a sheet of acid trips by sticking it to his chest under his clothes. He was so nervous that he started to sweat profusely, which made him absorb the whole sheet of acid into his blood stream. It’s said that he sat up straight for days on end trying not to move because he thought he was a glass of orange juice and didn’t want to spill. Poor guy.